It seems like everyone is talking about how BAD the real estate market is, but how bad is it really? People like Donald Trump and Robert Kiyosaki seem to think this is a chance of a lifetime to get into real estate. With that said, as a soon-to-be real estate investor, I am particualarly interested in the local Austin market. I did some research and found this great blog below, which I thought you would find helpful. Steve has a lot of great information on his site, and his information can be found on my Blogroll as well. Below is the breakdown of year-to-date home sales in Austin by MLS area. This is for houses only, no condos, townhomes, etc. I’m often asked, “how is the Austin real estate market?”, to which I reply, it depends on which market you are talking about. There are multiple “markets” and sub-markets in Austin. Here are some summary points I gleaned from the stats. 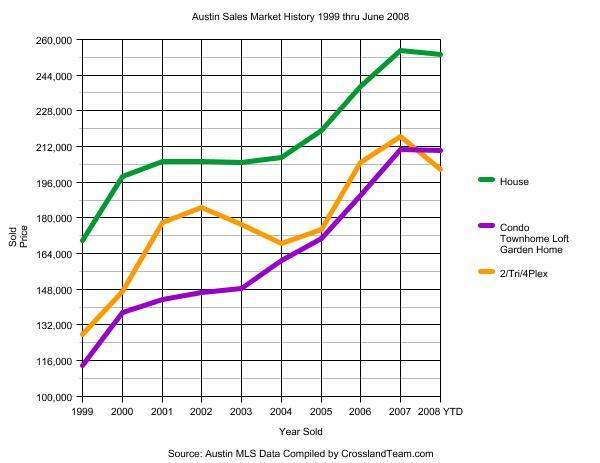 * Of the 42 Austin MLS areas tracked below, all but 1 have fewer sales Jan-Jun 2008 compared to 2007. The only area with more sales than the same 6-month period last year was the UT area with 26 sales YTD this year compared to 24 last year. * 28 of the 42 Austin MLS areas have higher average sales prices for 2008 than the same period last year. That’s 2/3 of Austin’s MLS areas experiencing price increases for average sales price. * 24 MLS areas saw an increase in both average and median sold prices. * 27 of the 42 Austin MLS areas saw an increase in average price per square foot on homes sold. * Of the 24 MLS areas that saw an increase in both average sold and median sold prices, 21 of those areas also showed an increase in the average sold price per square foot. This means half of all Austin MLS areas have experienced price increases in all three of the main metrics that indicate price appreciation. These areas generally tend to congregate around Central Austin. 14 of these areas are within a 20 minute drive of downtwon. 7 are east of IH35. * 7 of the Austin areas saw a decrease in all three metrics of avg, median and psf sales prices. Those areas were 8W (Eanes West), EL (Elgin), LN (Lake North), LS (Lake South), MA (Manor), SC (Far SE Austin) and W (West Austin). It’s interesting that, with the exception of area LN, all of the areas with triple drops are either way above or way below the Austin average and median sales prices. This jives with what we know, that both the upper and lower ends of the market are slow. * 7 of the 42 MLS area saw a decrease in the Days on Market, meaning homes are selling faster in those areas than a year ago. Most areas saw an increase in days on market, indicating slower sales. as per my entry above…It seems like everyone is talking about how BAD the real estate market is, but how bad is it really? People like Donald Trump and Robert Kiyosaki seem to think this is a chance of a lifetime to get into real estate. With that said, as a soon-to-be real estate investor, I am particualarly interested in the local Austin market. I did some research and found this great blog below, which I thought you would find helpful. 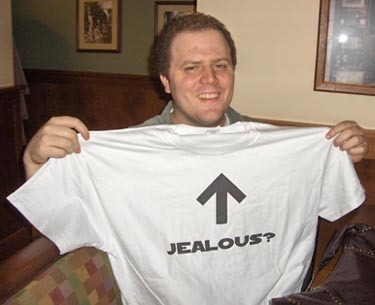 Steve has a lot of great information on his site, and his information can be found on my Blogroll as well. Below is the June 2008 Austin real estate market update, including YTD stats. For starters, I thought I’d post a graph showing Average Sales prices in Austin from 1999 through June 2008 for houses, condos and multi-family properties. 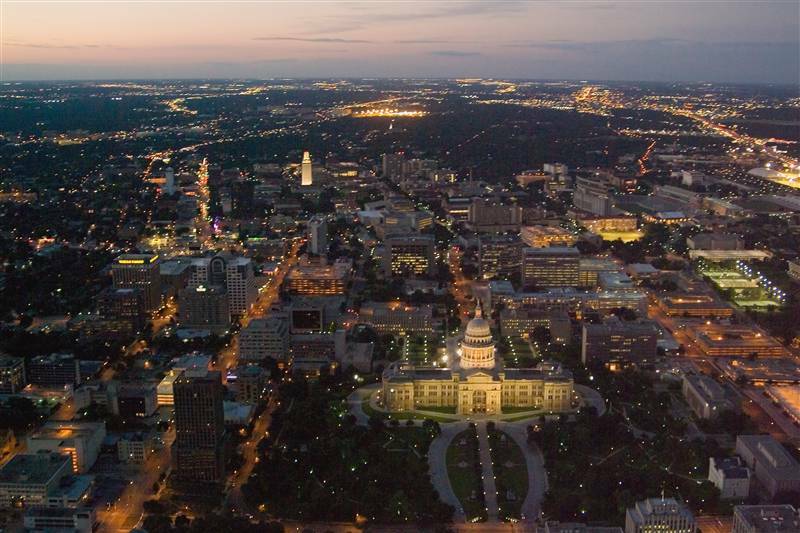 Austin’s real estate market has historically moved in fits and starts. The slowdown indicated by the June 2008 YTD dip in the graph is real and present, but I’ll match this graph against that of almost any other metro area in the US and say that, relative to the rest of the country, the Austin real estate market is looking pretty darned good. The average sales price for houses in Austin increased 0.47% in June from $263,421 in June 2007 to $264,653 June 2008. We continue to have a large number of expired and withdrawn listings though, and days on market continues to creep upward. Nevertheless, many homes are selling fast with hardly a sign of a slow market, while others, though seemingly well priced and in good showing condition, sit with no offers. Sylvia and I placed a new listing in South Austin on the market a couple of weeks ago and had it under contract in 4 days with a good offer. It was in average condition. Other listings we have in south Austin are equally as well priced and in better showing condition, but no offers yet. I just placed a new listing in Cedar Park yesterday which is priced at about 97% of market value, and I expect it to sell fast, but can’t be as confident as I could in 2006 and 2007. The market seems fickle and somewhat unpredictable at present. Here is a quick summery of the June stats. • Number of homes sold is down 25% from 2,702 June 2007 to 2,032 June 2008. • Average sold prices in Austin were up 0.47% over the same month last year to $264,653. • Median sold price was up 3.62% over the same month last year to $202,000. I’ll have to doublecheck, but I think this is the first time the median sales price in Austin has broken through the $200K mark. • Avg sold price per square foot is up 0.84% over June 2007 to $124 per sqft. • Avg days on market is up 11 days (22%) from 50 last year to 61 this May. Exactly the same as last month. • Number of “Not Sold” (exp or withdrawn) is up a whopping 29% over the same month last year, but a far less increase than last month. Below is the chart with these stats, along with a YTD chart. I’ll have area breakdowns posted in a separate post later today or tomorrow, so check back to see how your area is doing. Note in the chart above that Austin homes are selling for 96.41% of the list price, which is a 1.34% drop from the List to Sold ratio of 97.72% from June of last year. Price drops continue to be an important factor for sellers who are not seeing sufficient activity or interest in their listings. Note also that for June 2008, 37% of the listing failed to sell (withdrawn or expired). 37% is a significant number of listings that are not able to attract buyers, and sellers and listing agents have to be diligent in price drops and showing condition issues in order to offset this headwind of over-supply and lower demand. For year to date, Jan-Jun 2008 compared to June YTD 2007, click here to finish the article. Yep. Get on it! Not sure where to start? I like Vanguard personally. Good advice, low-cost expenses, and good returns. If one of your neighbors buys a Jaguar, it looms larger in your mind that the mini-van that your friends and other neighbors drive. I know this sounds crazy, but I offer you some unconvential advice: if your high spending pals are a problem, find some new ones. That doesn’t mean cut them off, just maybe add some new one’s to your circle that enjoy “free” things like volunteering, going to the park, exercising, meditating, etc. Anything that doesn’t require consumption! You could even join an investing club!! It’s no secret that our spending habits are driven in part by the crowd we’re in. But there’s more going on here than envy and status seeking. Most of us don’t like keeping budgets or doing the math. When deciding whether a a big expense is reasonable or not, people often take mental shortcuts when trying to figure things out. PS-Until you have an emergency fund built up, don’t even think of eating out! PSS-If you cant afford to quit your job for 30 years, than how do you plan to pay for retirement? It’s because it’s not what you make, it’s what you keep. I could walk into Neiman’s and buy pretty much anything I wanted. But I would NEVER do that. Since I wasn’t born rich, I advocate moderation and discipline as a way to build wealth. It’s because it’s not what you make, it’s what you keep. I’m talking about cutting back on little extravagences that could have a huge impact later. Take your tall, skinny latte to start as an example. Cutting coffee wont get everyone where they need to be as far as savings and retirement are concerned, but if you’re young, and time is on your side, you’d be amazed at the power of 5 bucks. Little things start adding up to big things! Heck, you’d be even more surprised at what $10 or even $20 can do! Start paying yourself first and see what you have the power to create! Worried about investing in the stock market? Well, I hate to tell ya that this is the time now to get in! The longer you wait, the riskier your portfolio will likely have to be in order to reach your target retirement amount.